Raising $1.3 million in April and announcing the hire of former American Express director Rayburn Chan to push its Twitter commerce platform in July, Chirpify is looking to pastures new and has today launched its in-stream transaction service on Facebook’s insanely popular photo-sharing app – Instagram. Chirpify for Instagram will enable brands and businesses to do what they were previously able to on Twitter, allowing consumers to buy, sell, donate and exchange funds without leaving Instagram, monetizing comments within the app. The company already has a variety of launch partners, ranging from the political to the celebrity. Partners include Bogs, makers of KONY 2012 Invisible Children; actress and singer Kat Graham; tattoo artist Kat Von D, footwear company KEEN, social agency Love Social and hip-hop artists Meek Mill and Wale. If you’re new to Chirpify, you might be intrigued to know how it works. 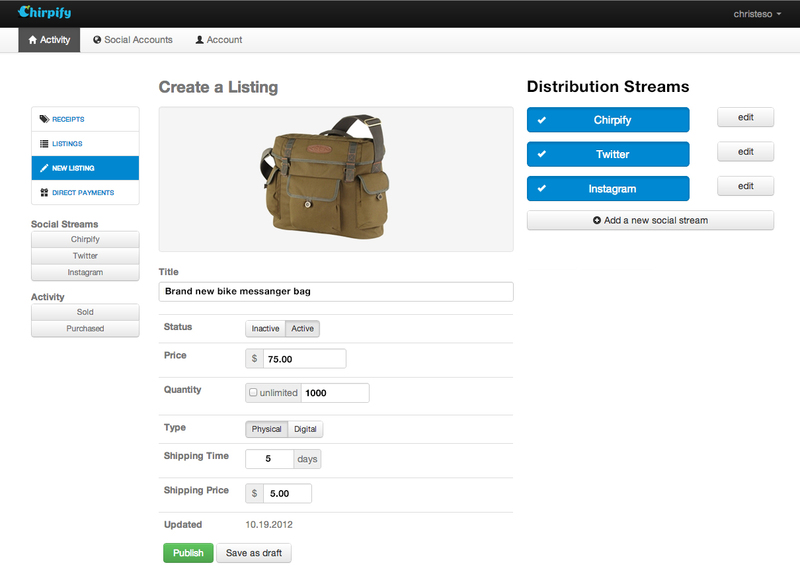 On both Twitter and Instagram, sellers and fundraisers are able to create a listing directly within the service. 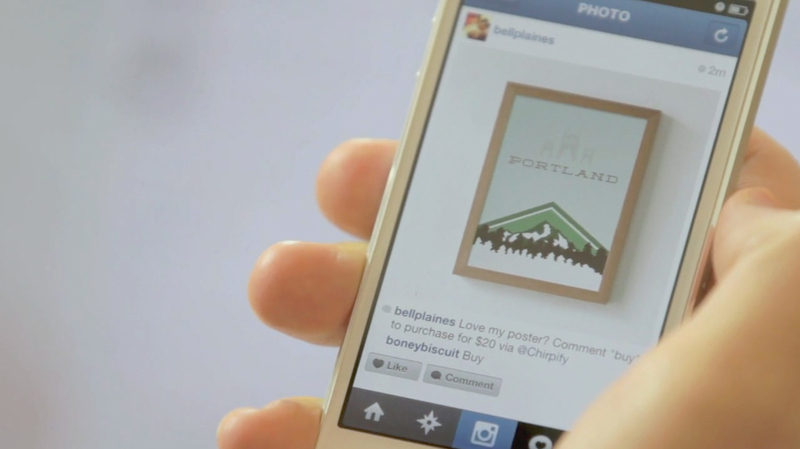 On Instagram, users can post a photo, immediately mark the first comment as “#InstaSale $amount” (where the amount is how much the product or service will go on sale for) and Chirpify will do the hard work, automatically creating a new listing that other Instagram users can interact with by posting a single comment. Fundraisers are able to tweak their listing slightly, marking the first comment with “#InstaFund $amount,” and Chirpify will immediately comment on that image or photo with instructions on what to do next. 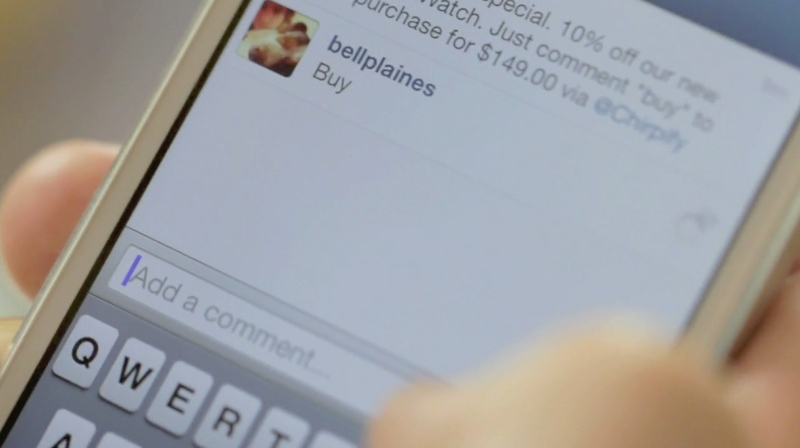 To buy, consumers connect their Instagram and PayPal accounts via Chirpify.com, and once linked, can comment on the listing with either “buy” or “donate” – depending on the listing type. Chirpify will then send over a download link or receipt via email. Chirpify rose to fame when it launched its brilliant ‘Tweet-a-Beer’ campaign during SXSW earlier this year. The app, put together by Waggener Edstrom and TenFour, used Chirpify to ‘send someone a beer’ by allowing them to tweet them a couple of dollars with a simple message. Now it’s on Instagram, it has a potential 100 million users and 5 million new photos a day to be connected with. Chirpify makes the process easy by combining all that brands and businesses need to sell a new item on Instagram with it’s simple dashboard tool, removing payment barriers and facilitating payments with a simple comment.